This is the age of the geek convention. Almost everywhere in the world there are now multiple annual conventions that cater to geeky subculture. Geek media has become so popular that it might be time to stop thinking of it as a “sub” culture and just accept it as mainstream culture. Within the greater kingdom of geekdom, anime is still a relatively small player. 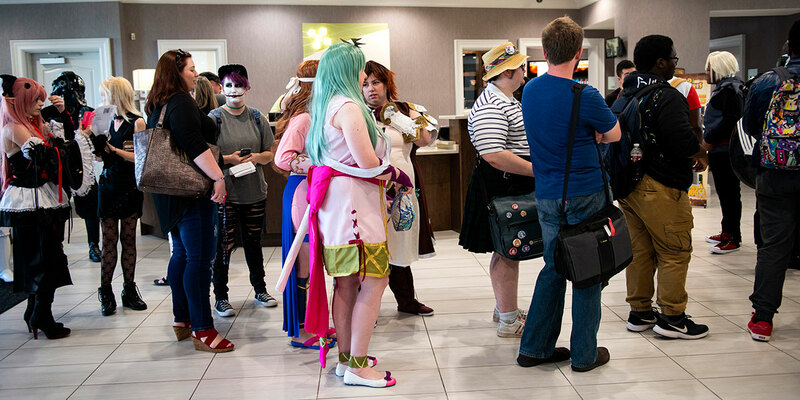 While most general geek conventions will have some stands dedicated to anime merch and perhaps a few more concessions, the dedicated anime convention is still a different beast entirely. If you’re thinking about going to one, here’s a short guide to what you might expect, regional weirdness notwithstanding! Panels are a staple of all conventions, anime or otherwise. A panel is simply when a group of people who are of interest to the fandom as a whole are invited to speak. There will usually be an interviewer who asks questions of the panelists and who also moderates questions from the audience. The difference with anime panels is that the people who show up at Western conventions are often people who handle the Western arm of that production. It will be the localizers, local dubbing artists and so on. It’s pretty rare to get someone from Japan to fly out and appear at a convention. Larger cons do manage this because of a larger attendance and higher ticket prices. They also have to hire an interpreter since most Japanese citizens don’t really speak English. The good news is that panelists are advertised, so you should know in advance whether its worth going on the strength of panel lineups alone. 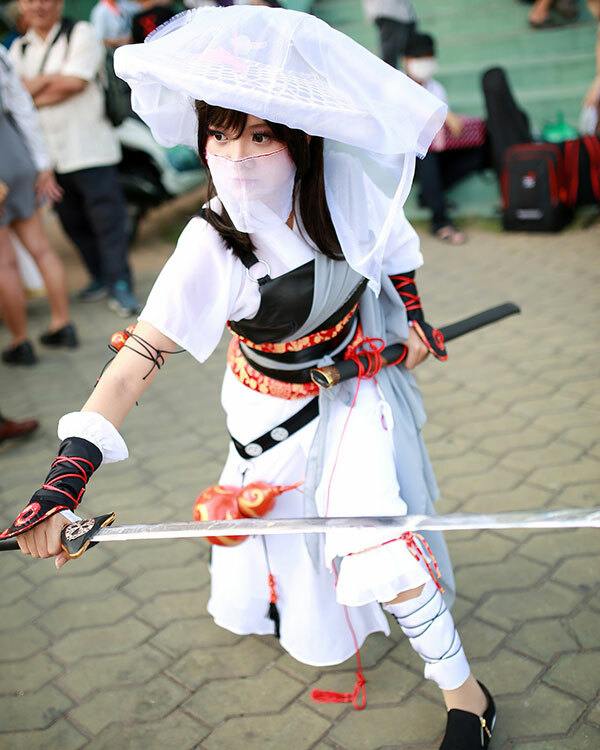 Cosplay is the fan activity of dressing up like a favorite character from an anime you like. Cosplay has expanded into non-anime domains and you’ll see geek conventions such as Comic Con filled with people dressed like Marvel characters and the like. At an anime convention it’s basically always been like this. Plenty of people will show up in full costume and a lot of people will at least wear some sort of cosplay item, even if it’s just an off-the-shelf piece. 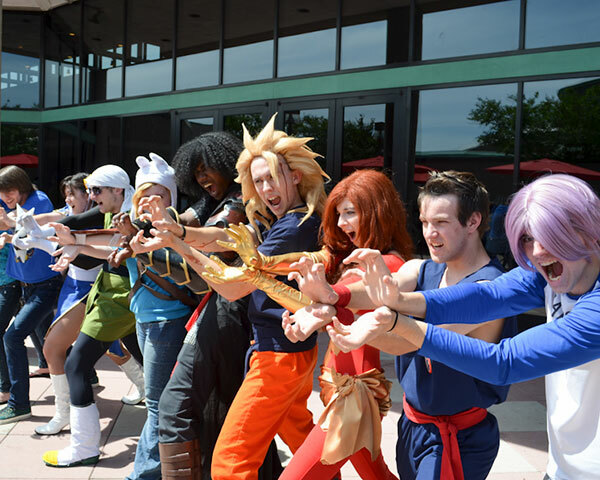 Cosplay is a fun and accepted pastime at conventions, but there is a serious competitive aspect to it too. While plenty of people cosplay at an anime convention, a small elite among them do so competitively. While anyone can sign up to take part in the costume competitions, the level of artistry has not definitely risen in the professional realm. The best cosplayers could seriously consider a career in stage or film costume design and many of them do! Some costumes are now made by teams of people, and complex mechanical and electronic elements have made their way into the cosplay scene. You’ll also notice a lot of professional photography going on when it comes to cosplay at conventions. Not only the competitions, but also notable costumes by convention attendees tend to get photographed and then published online. There’s been a lot of back and forth over the years when it comes to taking photographs of cosplayers, but the golden rule is to get their permission before taking pictures and spreading your snaps around. 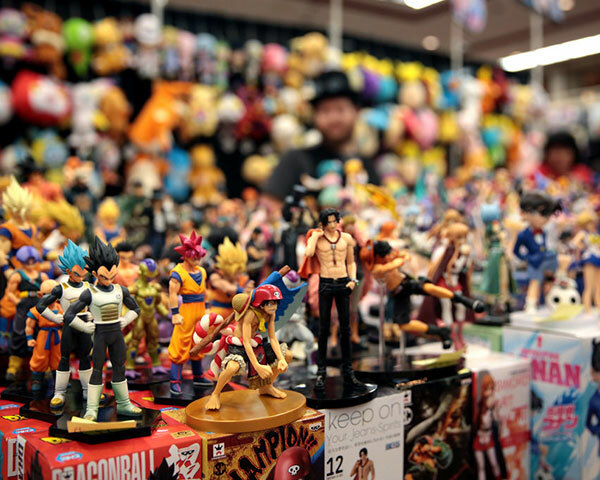 Buying stuff is probably the biggest activity at any convention, and anime conventions are no different. If you want to give in to your avarice, I suggest you go read my article explaining the most important types of merchandise that anime fans buy. Conventions offer a unique and exciting opportunity for fans that have some money to burn. Plenty of suppliers and exhibitors will bring products to conventions that are either limited to that convention only or have not been sold anywhere else. In other words, you can get your hands on exclusive or rare merchandise only at such conventions. Plenty of vendors will also take down pre-orders at cons first or sell a limited number of a retail product for a significant discount at the convention. It’s also a place where auctions on collector’s items happen, although this varies from place to place. The best part of saving your money for conventions is definitely the fact that you won’t see such a diversity and quantity of merchandise in one place anywhere else. The only place you get this much choice is when shopping online, but here you get to physically look at stuff before you buy it. Not to mention that you can take it home with you straight away. However, conventions are also a place you can get cheated a little. Always be sure to look stuff up online using your phone. You never know when someone is trying to sucker you with a higher price. Which brings us to more stuff, but this time without the price tag attached. Conventions are great places to get free promotional materials. Obviously a lot of this stuff is on a first come, first served basis, but if you’re lucky and fast you can get a lot of swag at conventions. T-shirts, posters, DVDs, and more are handed out to convention goers. This is one big reason to attend the first day of the convention since everyone still has all their promotional stock. Conventions are a great place for creators to showcase the media we love. When a new anime is coming out, convention attendees might be treated to seeing the first episode or screening before anyone else does. Obviously this is a good tactic to build some hype on forums and other social spaces the fandom occupies, but it’s kind of neat to be the first person to see a hot new show. Conventions are ultimately a social gathering and that means there are plenty of social events linked to them. Depending on the size of the convention there may be a few parties of both the official and unofficial variety. Official parties might be hosted by sponsors and can either be open to all or by invitation only. You might have to pay an additional fee to attend some parties, separate from your ticket price. Unofficial parties are something you do at your own risk. Some are professional, but not affiliated with the people who organized the convention. Others can be spur of the moment. They can happen in hotel rooms or at the residences of people who live near the convention site. They can be fun, but always be vigilant and drink on moderation if you’re surrounded by strangers. Most conventions will have some sort of main event stage. Some panels might happen on the main stage, but in general this is where competitions, announcements, and other events that are meant for everyone attending the event happen. I’ve even seen otaku-themed bands perform. It can be really interesting to see the sort of things that convention organizers think will interest anime fans at their cons. It’s usually pretty hit or miss, but almost always entertaining. Depending on the size and scope of the convention you might also have the opportunity to take part in various activities. For example, I’ve seen people present cosplay masterclasses where they teach attendees how to make certain things or how to design costumes. There are also many Japanese-related activities such as interactive martial arts events, calligraphy, and so on. Displays make up another major part of a convention floor. There’s usually nothing for sale here, but things are showcased for marketing or awareness-raising purposes. If there’s a major upcoming game or show, there may be a booth with professional cosplayers, mockups, demos, and more. You can chat with the people involved, possibly get autographs, and see some pretty cool items in person. Ultimately the best thing about a convention is that it gathers together people who all broadly share the same interests. That makes it a perfect place to meet people and share in your passions. Historically, otaku haven’t been the best at social interaction, but my observation is that these days that’s no longer an issue. If you are attending a local convention it means that many of the people there are also local. So now you have a way of discovering who in your hometown might want to spend time with you. I have to be honest, I’m past the point where I still want to attend the big, packed conventions. However, I have really grown to love small local anime conventions because it’s a great way to relax with people and see the things I want to without being jostled or standing in line for an hour. Sure, you miss out on things like celebrity panels, but you can always catch those on YouTube. In general, conventions aren’t for everyone, but if you find one that catches your fancy it might become a regular event.